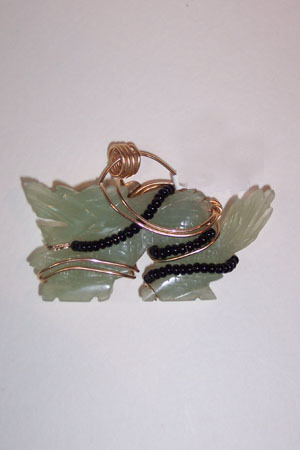 Carved Jade Dragon Pendant enhanced with black Czech glass beads. Sculpted in 14kt rolled gold. A bold piece for your jewelry collection. Measures 2.5"x1.5".